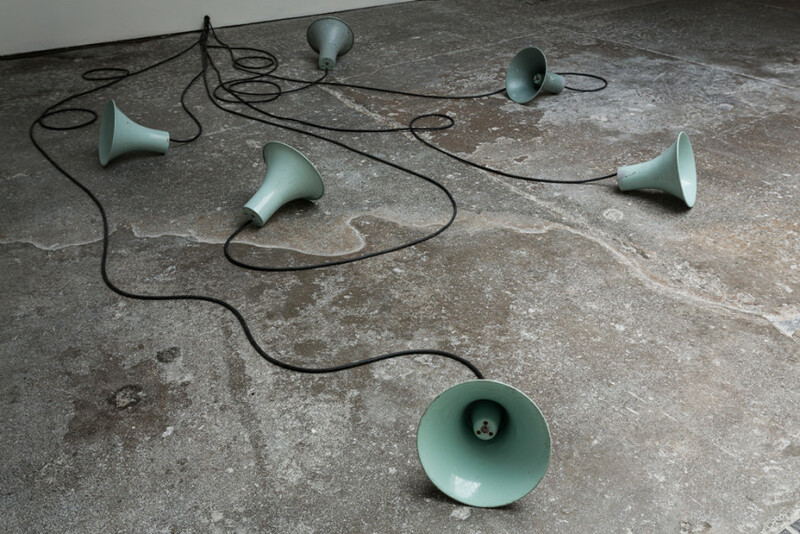 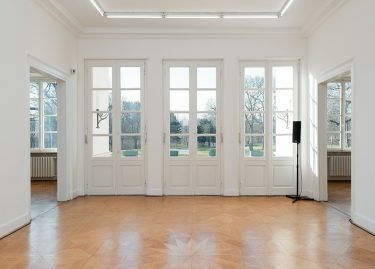 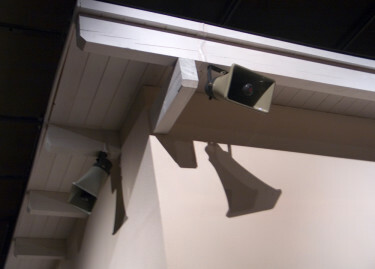 Spoken Out is an audio in which the artists’ voice occupies a set of speakers positioned on a gallery floor. 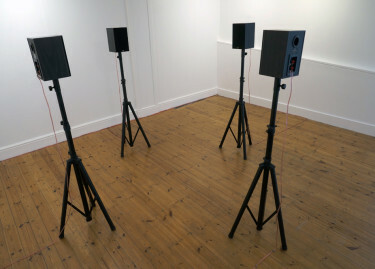 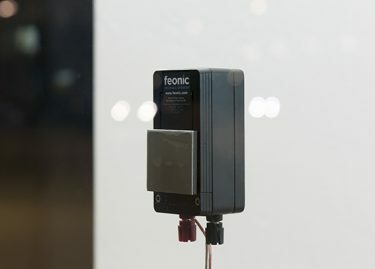 Working through a small set of phrases and fragments that reframe each other as they appear in the space and unfolding time-line of the work, Spoken Out conjures a contradictory presence from the meeting of ephemeral vocalisation and the concrete objects of speakers, amplifiers and wires. 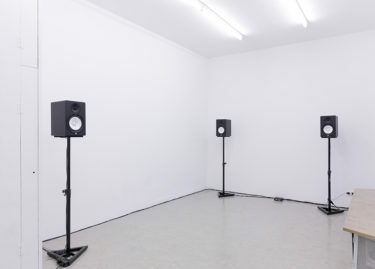 The voice in Spoken Out is both disembodied – perplexed by its lack of human place – and, at the same time, firmly located in the materiality of speakers and wires which substantially create, make place for, and frame the work. 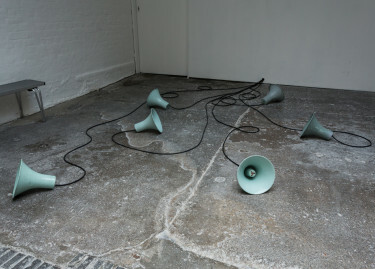 Etchells’ repeated, re-spoken and re-made phrases meanwhile also become strangely concrete language-objects through the work, which summons identity and fictitious presence in its simple procedure of repeating and remixing.